Watch full Ginga Eiyuu Densetsu Season 3 Episode 25 English Subbed full HD online. Ginga Eiyuu Densetsu Episode 79 English Subbed online for free in HD. The Battle of the Corridor (beginning): the Invincible and the Undefeated. Bittenfeld is wary of the message and takes a cautious fleet formation. 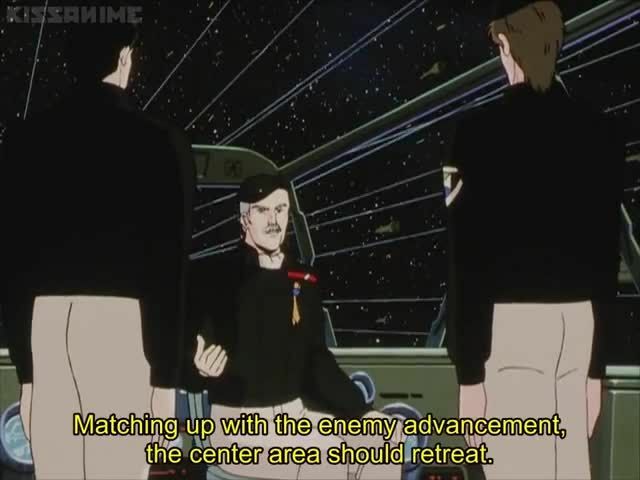 Yang takes advantage of the communications jamming between both sides of the corridor and tricks Mecklinger into withdrawing to the entrance of the Imperial side. The Bittenfeld fleet is lured into the corridor by Attenborough’s fleet. Fahrenheit’s fleet follows Bittenfeld, planning to overwhelm the Yang with numbers. Yang uses the superior numbers of the Imperials against them, forcing the Imperials to cluster together inside the tight corridor. High Admiral Fahrenheit is killed in battle preventing the complete destruction of the two Imperial fleets.